Before the age of four months, solid food may actually be harmful to babies. 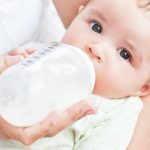 Early introduction of solids may increase the chance that the baby will develop food allergies, and it may prevent the baby from getting enough calories to grow properly. At around six months of age, though, babies can no longer get adequate nutrition from milk or formula alone. From this point on, they need a greater variety of foods for proper growth and development. Certain changes in a babys feeding behavior signal a readiness to begin solids. 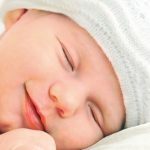 These changes, which appear between the fourth and sixth months, include the development of a more mature sucking pattern in which the gums move up and down, and the appearance of drooling, which makes it easier to swallow solid food. The babys tongue no longer reflexively pushes food out of the mouth, and coordination of the tongue and swallowing muscles is improved. Even babies who have experienced all these developments, however, may resist solid food at first. If a four-month-old seems to dislike having cereal spooned into her mouth, the best approach is to abandon the effort and try again in a few weeks. 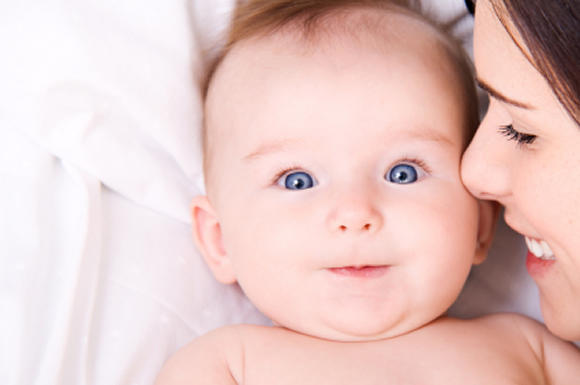 A six-month-old who refuses solid food, however, may need some persistent coaxing. If you meet with resistance, talk to your pediatrician. Most pediatricians recommend starting a baby on iron-fortified rice cereal, since rice is the grain least likely to provoke allergic reactions. Start with a teaspoon or two of food mixed with enough formula or breast milk to be smooth and moist, but not runny. When you first offer cereal, make sure the baby is hungry but not too hungry. 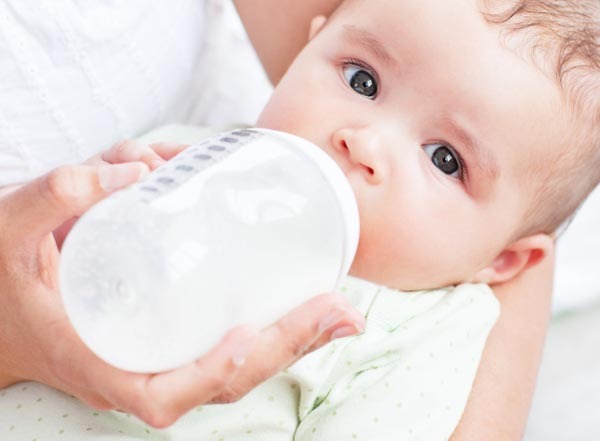 Most experts recommend starting the feeding with milk or formula, then switching to a small amount of cereal, then finishing up with more milk or formula. Give tiny bites in a small spoon (baby spoons coated with a durable plastic to protect tiny teeth are ideal), touching the tip of the spoon to the babys lips to open the mouth and placing the food at the back of the tongue. At first, the baby will probably push most of the food out of the mouth. In time, however, she will learn to enjoy the flavor and sensation of solid foods and the more encouragement you give in the form of smiles and exclamations, the more eager the baby will be to eat. Introduce new foods at the rate of about one every four to seven days so that, if the baby develops an allergic reaction, you can easily identify the cause. At around five or six months you can offer fruit juices, which should be diluted with water at first. Avoid products and foods that are not totally pureed until the baby is older. Besides rice cereal, foods that are recommended for five- and six-month-olds include oatmeal, peaches, apples, peas, sweet potatoes, pureed meat, mashed bananas, and squash. Wait awhile to introduce corn, tomatoes, citrus fruits, orange juice, fish, berries, egg whites, and spinach, since these foods are more likely to provoke allergies.